Product code: 1810 Categories: Sold Items, Sold Rings. Antique signet rings always have such an appeal and unique style about them and this antique signet ring made in the Austro-Hungarian empire at the start of the 1900’s is just amazing. 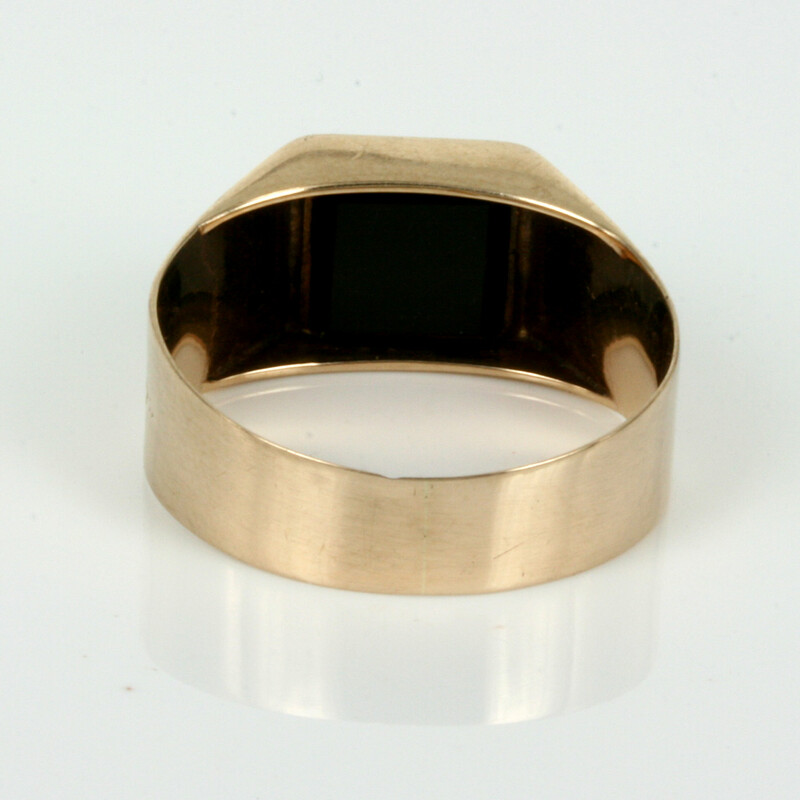 Made in 14ct rose gold, this signet ring is set with a square piece of sardonyx and the ring measures 1.0cm wide at the top. The signet ring has amazing hand engraving on the side which just lifts the whole look of the ring and this is such an easy ring to wear everyday. 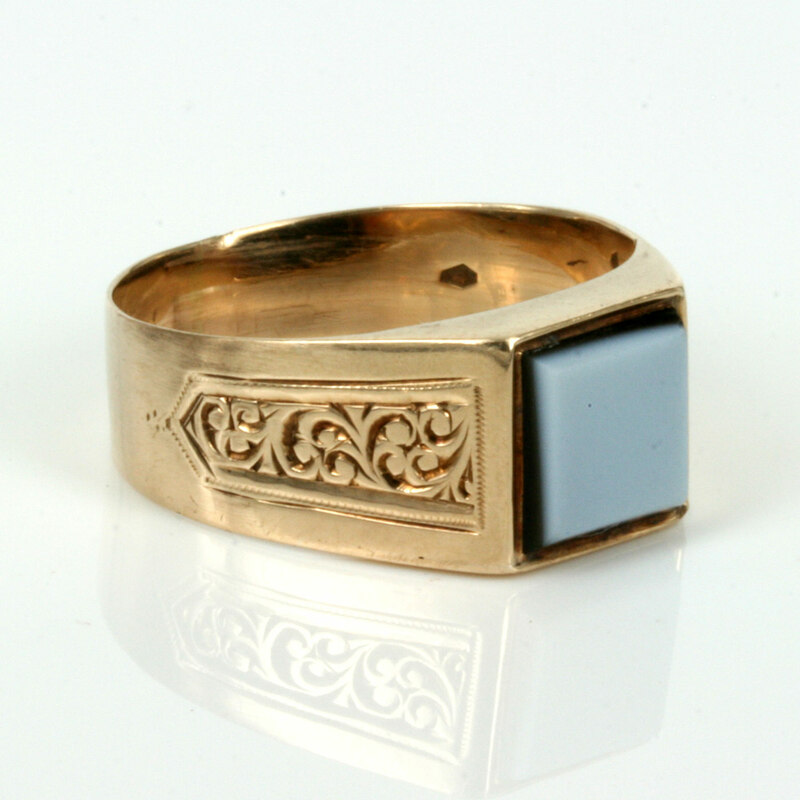 A fantastic antique signet ring for any occasion.